Saturday in Zambia is like any other work day, especially for farmers. Those of you following our work on Facebook might recall the borehole, which serves the farm at Chasefu, has been giving us problems since mid-November. 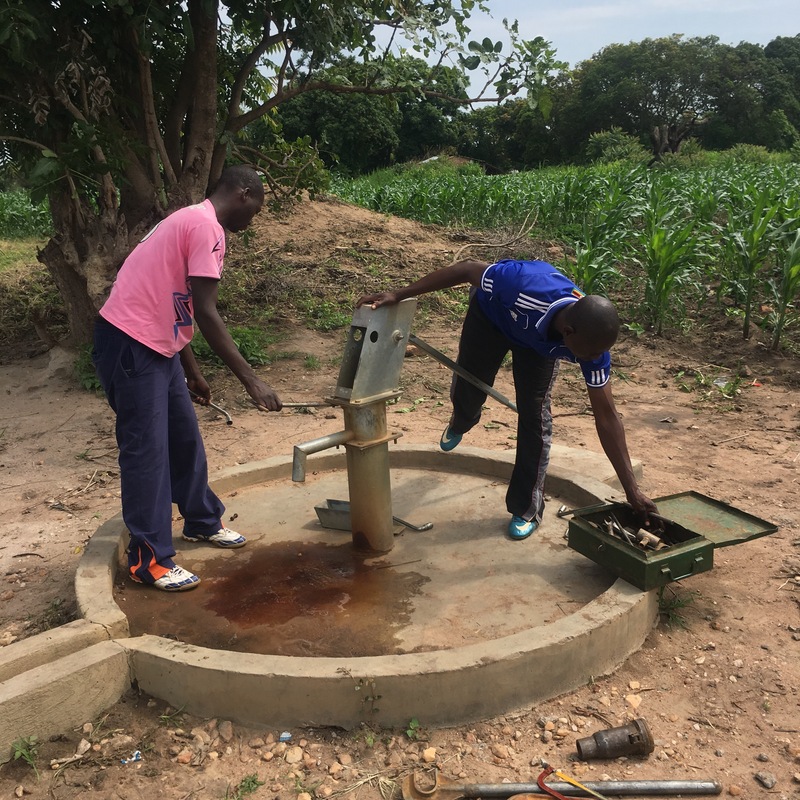 We thought the arrival of rainy season in early December had raised the water table sufficiently to delay repairs to the pump, but during a two-week period without rains, the problem of no water returned. It proved damaging to our recently transplanted onion seedlings, but also created problems for those living in Chasefu, who depend on the borehole for their drinking water. Yes, there are two other boreholes where they can draw water, but they are further from the village. Water weights 8.36 pounds per gallon, so if women and children are carrying containers, which are approximately 5 gallons, on their heads-well, you can do the math. After many conversations with various people, we finally found someone to help diagnose the problem of the farm borehole; this morning at 7:30, Melissa and I met Mr. Christopher Sayopa at Barclays Bank. As we were about to leave for Lundazi, I received a call from Rev. Mapopa Nyirongo asking if I could go by a local butchery to purchase some nyama ya ng’ombe (beef) for next week’s Community Health Evangelism training, and drop it off in Emusa as we passed through. Sure, no problem. And it would give us an opportunity to greet Rev. Lazarus Chilenje’s wife, Shera, and their children, in Emusa. As it turns out, Mr. Sayopa actually installed the pump at the farm last year, so that was a big help which we didn’t anticipate. When we arrived at the borehole, he tried the pump, we described the symptoms, and he recommended a solution. We’re fortunate to have some of the necessary materials on hand at Chasefu (pipe), which will save us quite a bit of money. But the other materials will cost K750 ($74.85 at the current exchange rate), which we needed to advance to Mr. Sayopa. He will purchase the materials, rods and rubber seals, and we will return to Chasefu on Monday morning to complete the repairs, which will include dropping the depth of the pump by additional twelve meters, well below the water table. While we were at Chasefu, we were able to greet the seminary students who are now beginning to return from their Christmas holiday break. It was good to see them and laugh with them. They were pleased with the progress they saw at the farm. I asked one of the students, Absalom Banda, if he had a good break, and he responded, “Much work.” You see, most of the students have families back home, and their break was spent doing the same farm work we’ve been doing at Chaseu, to ensure their families will have food in the coming year. When we were finished with our work at Chasefu, I called Chasefu Model Farm manager, Rev. Nyirongo, in nearby Egichikeni. Rev. Nyirongo couldn’t join us at Chasefu because of a presbytery meeting there, so I shared the information from Mr. Sayopa regarding the pump. We decided to return to Lundazi via Egichikeni, to get the necessary funds from Rev. Nyirongo to purchase of the needed materials, so we can finish the repairs on Monday. When we arrived in Egichikeni, we went to the manse, where we found Rev. Nyirongo and his wife (I preached there on New Year’s Day), Rev. Chipeta and his wife, from Chasefu (I preached there last Sunday) and many of the people we met at both churches. As we entered the manse, I recognized one of the young men from the Chasefu choir. After greeting folks inside the manse, I went back outside and showed all those gathered on the porch the video of the choir, which I had posted on Facebook and I even danced the same moves as the choir leader, Laxson Zimba, while they held the phone, watching the video. Laughter ensued. If you didn’t see the video of the choir, you can watch it here: Chasefu Choir. Now imagine me dancing on the front porch of Rev. Nyirongo’s manse, like Laxson, but without any rhythm or skills. ​​After the laughter died down, we got back to business regarding the pump repairs. Mr. Sayopa explained the problem and the solution, and Rev. Nyirongo advanced funds to cover the cost of materials. Our business completed, we said, tawonga chomene (thank you) and taluta (we’re going) and took off for Lundazi. But we had one more stop. You see, the borehole at the clinic in Egichikeni is also having problems, and since we were there, we stopped to take a look. A different problem, a different solution. And an impact on the availability of clean water for the people there. Finished at the clinic, we took off for Lundazi again, this time for real. As we drove, Mr. Sayopa asked us our impressions of Zambia, and then he asked us about America. He told us he imagines America to be like heaven. We simply responded by saying America has its problems, too. When we arrived back in Lundazi, we dropped Mr. Sayopa at his home and made plans to meet at his office on Monday morning at 8:00 am. 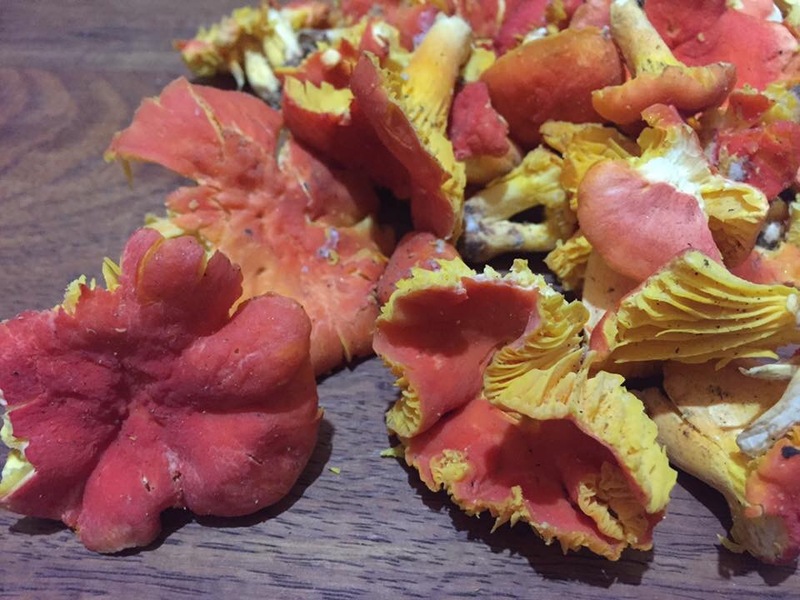 When we stopped at the butchery before leaving Lundazi earlier, we had seen ladies selling the beautful, brightly colored, wild mushrooms which grow here during the rainy season, so Melissa and I decided to go back and buy some. 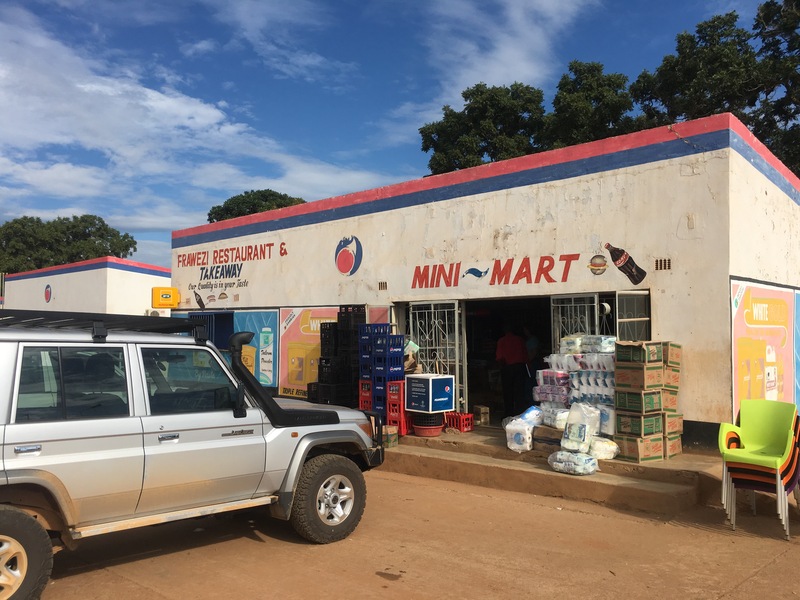 When we arrived, we realized neither of us had any small bills, so we drove to Mini-Mart to purchase a Zero Coke and break a bill. Mini-Mart is Lundazi’s version of the Pearsall Dairy Queen, and there’s no telling who you’ll run into there. Since I’ve been spending so much time in Chasefu, it’s been a while since I’ve stopped there; I was able to catch up with our friends who work there, and ask why Casey wasn’t working today. When we walked outside to get back in our car, I heard someone yell, “Johnson”, and when I looked, I saw Mr. Njovu. the manager of Eastern Water and Sewerage Company, the local water company. Mr. Njovu is the person who put me in touch with Mr. Sayopa. I shared what we had learned about the borehole and the needed repairs, and of course, I had to complain about my water bill. And then Mrs. Sakala, our landlord, drove up, so we greeted her. And while we were visiting with her, our friend, Frank Mwale, who is the children’s choir director at our church in Lundazi walked up. Remember, we’d been visiting other churches recently, so we hadn’t seen Frank in a while. We greeted each other, big smiles, joking about my dancing, and I asked about the children. Frank told us that a little girl in the choir, Hope, died of malaria last week. As I thought about the events of this morning, it occurred to me-this is our life in Lundazi. It is real, it is joyful and sometimes it is sad. There are many challenges, but there are also many people who are working together to find solutions. Our partner church and the people we work with here are amazing, and they are our friends. We laugh with them and occasionally, we mourn with them. We are bound togther by our common faith. Melissa and I have already discussed how much we will miss them when return to the U.S. for several months beginning next June. Please pray for us, for our work, for our friends, for our partner church, and especially for Hope’s family as they mourn her death. As referenced above, Melissa and I will be returning to the U.S. on June 13, for Interpretive Assignment, before returning home to Lundazi on November 6. 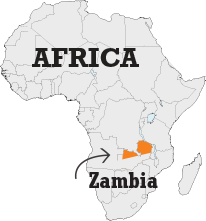 Yes, we will be sharing about our work, but just as importantly, we will be sharing about our partner church, The Church of Central Africa, Presbyterian Synod of Zambia, and our many friends here. 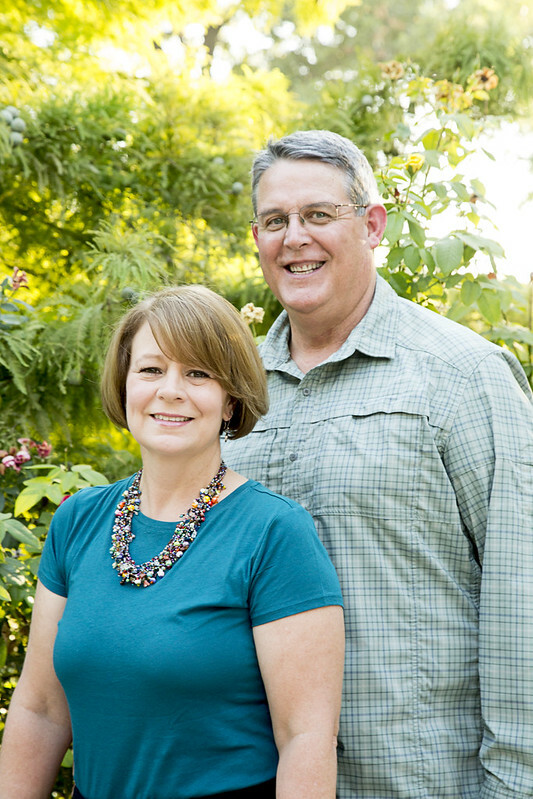 If your church would like to host us for a presentation, please contact Charles or Melissa to discuss a visit.